Beginning in 1977, both the US government and the American Heart Association (AHA) spent over 30 years urging Americans to limit the amount of fat they consume in their diet, to no more than 25 - 35% of daily calories. This recommendation, which was quietly dropped in 2010, was based on the theory that, since dietary fat increases cholesterol levels, reducing fat consumption would lower the risk of atherosclerotic cardiovascular disease. Despite these longstanding recommendations, the scientific evidence that strictly limiting dietary fat lowers the risk of atherosclerosis is — and always has been — quite weak. Even in 1977 scientists knew that not all fats are “bad,” and indeed that certain fats are essential for good cardiovascular health. But the McGovern Commission was determined to limit all fat intake, both to reduce heart disease and (it was incorrectly assumed) to fight obesity. They feared they would just confuse the public by trying to convey a relatively complex message that most fats should be avoided, but some fats are desirable. So, the official message became to avoid fats altogether, and instead to rely largely on carbohydrates for the majority of our caloric intake. This low-fat-high-carb dogma prevailed for most of the next 40 years, with the imprimatur of the both US government and the AHA. The 20-year Nurses Health Study, a cohort study involving 80,000 women, showed no correlation between the risk of heart disease and dietary fat. A subsequent meta analysis of several cohort studies similarly showed no association between dietary fat and heart disease or death. In the most rigorous randomized trial ever conducted to study dietary fat, the Women’s Health Initiative randomized over 48,000 women to a low-fat-diet (and used intense behavior modification to reduce daily fat intake to 20% of total calories, and to increase the consumption of grains and vegetables) or to a control group that received only “usual” dietary education (this control group consumed 37% of their diet from fat). After 8 years, there was no reduction in the risk of CAD in the low-fat group. In fact, the trend was for higher risk. Other randomized trials have similarly failed to show a benefit to a low-fat diet. Additional studies have failed to show a reduced risk of cancer with low-fat diets, or that low-fat diets are associated with less obesity. In summary, after several decades of study, there is no convincing evidence that reducing total dietary fat to less than 30 - 35% of daily calories lowers the risk of heart disease, cancer or obesity. What About the Ornish Diet? The Ornish diet, and other variants of ultra-low fat diets, famously claim to not only prevent CAD, but also to reverse it. These diets are far more rigorous in their restriction of dietary fats — especially from animal sources — than are the low-fat diets recommended by the AHA. Proponents of Ornish-type diets claim, correctly, that the studies that have failed to show a benefit with AHA-type diets do not necessarily apply to their far more fat-restrictive diets. 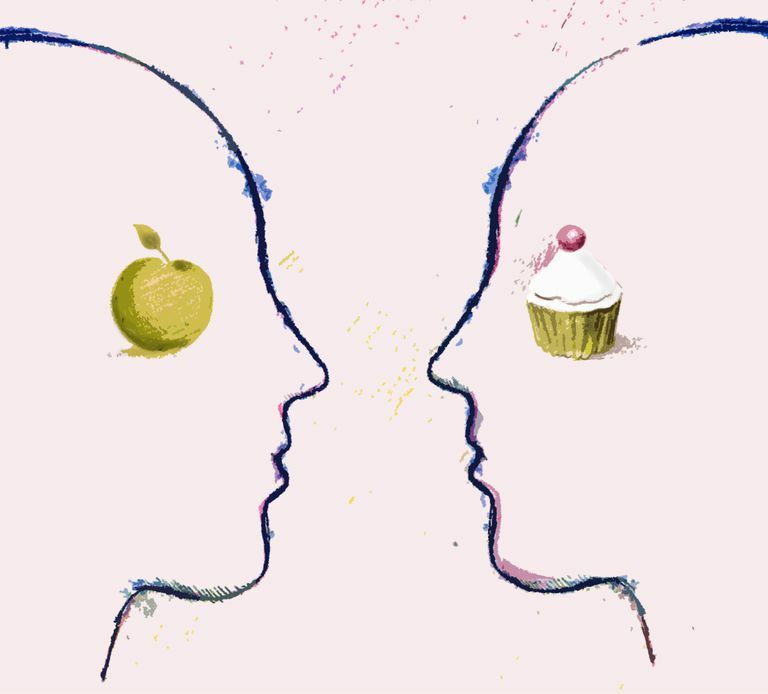 However, the claims that Ornish-type diets are proven effective are themselves based on imperfect data that does not hold up well to objective scrutiny. The hypothesis that a very-low-fat vegetarian diet prevents or reverses heart disease has been neither convincingly proven nor disproven, although it is a hypothesis that deserves more study. The recommendation that everyone should eat a low-fat diet was from the beginning based on a flawed theory, and on a conscious decision to sacrifice precision for the sake of simplifying the message. After more than three decades of attempting to confirm that low-fat diets reduce heart disease, clinical trials did not support longstanding recommendations that everyone should be on a fat-restricted diet. At least in regard to total dietary fat, the official dietary guidelines finally reflect the science. Howard BV, Van Horn L, Hsia J, et al. Low-Fat Dietary Pattern and Risk of Cardiovascular Disease: The Women’s Health Initiative Randomized Controlled Dietary Modification Trial. JAMA 2006; 295:655. Oh K, Hu FB, Manson JE, et al. Dietary Fat Intake and Risk of Coronary Heart Disease in Women: 20 Years of Follow-Up of the Nurses’ Health Study. Am J Epidemiol 2005; 161:672. Skeaff CM, Miller J. Dietary Fat and Coronary Heart Disease: Summary of Evidence From Prospective Cohort and Randomised Controlled Trials. Ann Nutr Metab 2009; 55:173. Can NSAIDs Increase Our Risk of Heart Attack? What Is an Alkaline Diet and Does It Work? Do Antioxidant Supplements Actually Work?